When I opened my glove box it just fell open and dangled forward. Time to replace those gasshocks ! There are two in the dash. One is an absorber to make the dash open gently downwards. 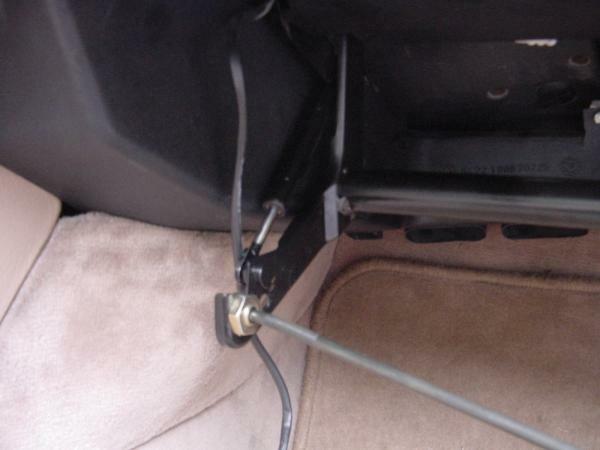 The other one is a gasshock holding the compartment in the back or all the way forward in the direction of the driver. 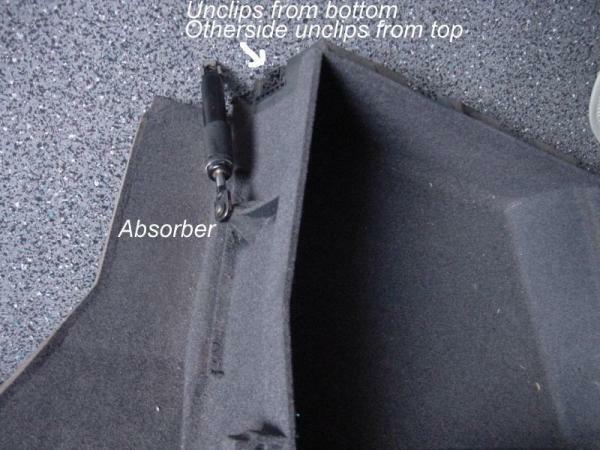 If you're just replacing the absorber you can do this with the compartment in your car. For the shock you have to remove the entire box. The absorber just clips off and the new one just clips on. When you're replacing the shock you have to take out the compartment. Remove the black plastic cover on the hinge (right rear side). Remove the torch charger socket and losen the wires. The frontpart is held by the absorber and a strap. Uncip these. Removing the gasshock is quite easy since it probably lost most of the presure. You can just pry it off with a screwdriver. To replace the shock I first fited the top, then using a screwdriver I levered the bottom into place using the nut on the supportbar. Then you're allready to replace the box ! These prices are for europe. Prices are in Euro excl. VAT or any other taxes. If you would like to add any comments, remarks and/or corrections to this procedure, feel free to email Mike Oswald and we'll put it on our site. Share your experiences with us so others may benefit from it.